Click on why Leicester link below to view the exciting current facilities and future developments coming shortly to the city. We currently have a selection of apartments for sale in two of our prestigious city centre buildings. 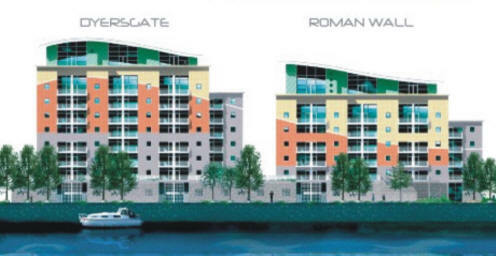 Both buildings are situated in Bath Lane and enjoy stunning views across the city & Grand Union Canal. Re-sale, 1 bed + study/bedroom - A truly stunning apartment in this city centre landmark building, offering breathtaking panoramic views overlooking the river and with a unique design and specification. This apartment is south west facing and is also being sold with one car parking space. 1 bedroom + large living/dining room & separate kitchen - A truly stunning apartment in this city centre landmark building, offering breathtaking panoramic views overlooking the river and with a unique design and specification. This apartment is south west facing and is also being sold with one car parking space and must be seen to be truly appreciated.